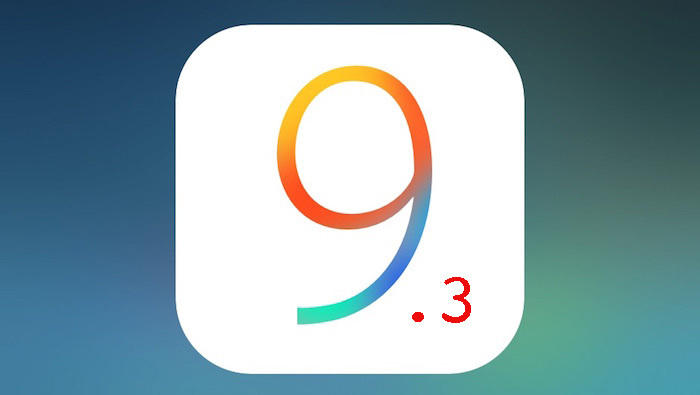 Apple iPhone, iPad and iPod Touch gets iOS 9.3 Beta 1 seeding to registered public testers. Apple Developers are happy to bring out the first 9.3 beta update for public testers. Remember that iOS 9.3 beta was out just couple of days back to registered Apple Developers and now available for public testers. Alongside with 9.3 beta 1, there is also a minor iOS 9.2.1 update available for testing. The public beta testers who have signed up for the Apple’s beta program will receive this iOS 9.3 update via Over the Air download once they have proper certificate install on their iPhone, iPad or iPod Touch. And if you are not a part of public beta testing program then head on to Apple Program to signup with your Apple ID. Once your signup you will receive update ahead of normal release until you discontinue it. For iOS 9, 9.3 turns out to be a major update which brings out a new features which includes Night Shift mode, host of features on iPad for educational users and users can now connect multiple Apple Watches on to a single iPhone. The update also includes 3D Touch Quick Actions and also includes Touch ID for Notes App so that someone doesn’t get through your financial or personal data.